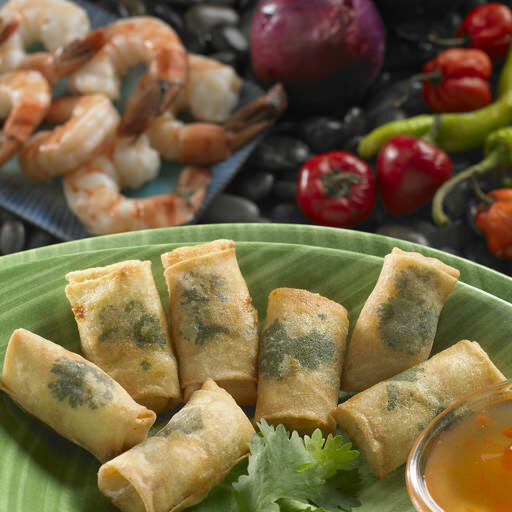 Whole shrimp spiced with hot chilies, curry, and fresh cilantro wrapped in a spring roll. 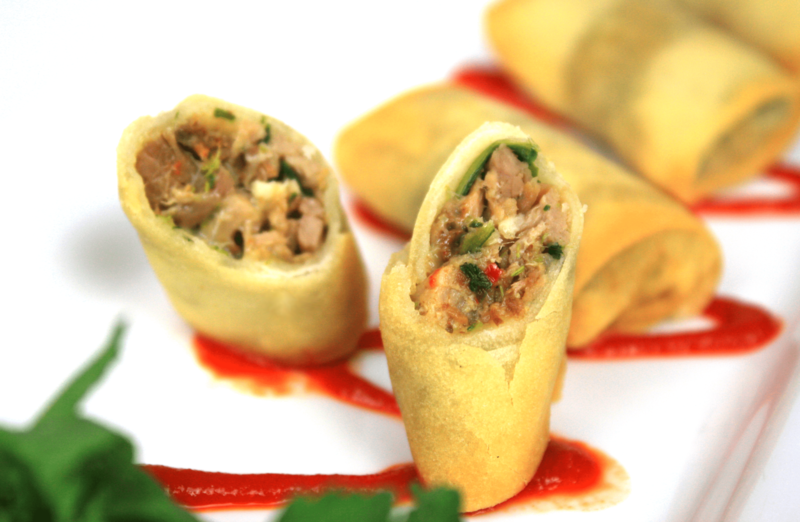 Roast pork, fresh broccoli rabe, and extra sharp provolone tucked in a mini spring roll - a Philadelphia classic! 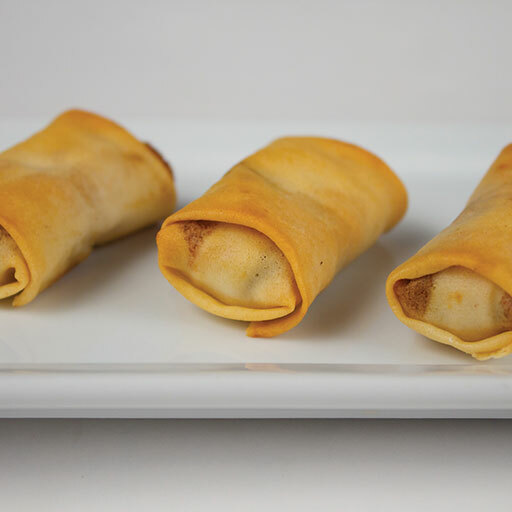 Slow cooked house made pork, smoked ham, tangy pickle relish, and Swiss cheese hand rolled in a crispy spring roll wrapper for a new twist on the classic Caribbean sandwich. 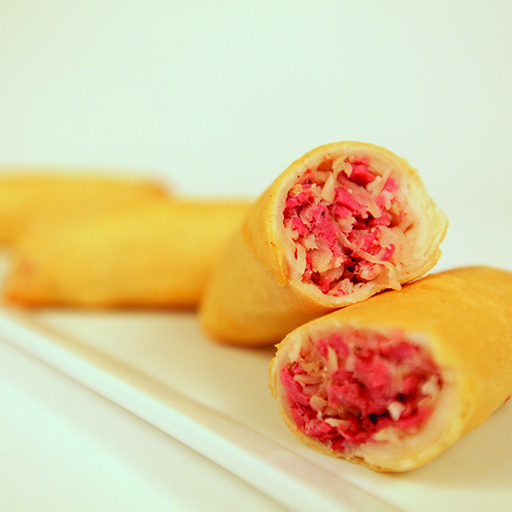 Spice rubbed and brined pastrami hand folded with whole grain mustard and sauerkraut to create a unique and crispy spring roll. 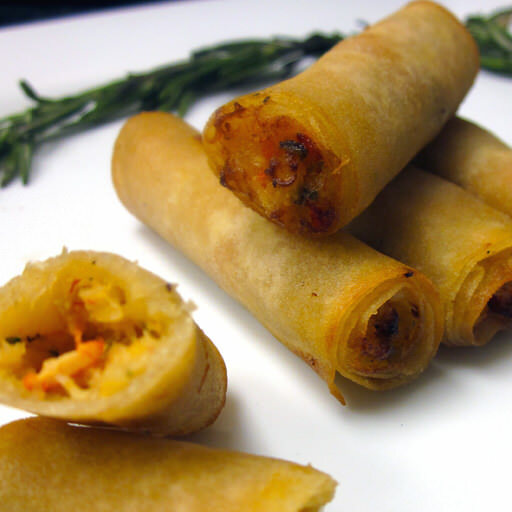 Fresh pulled white meat chicken topped with spicy buffalo sauce, loaded into a spring roll wrapper. 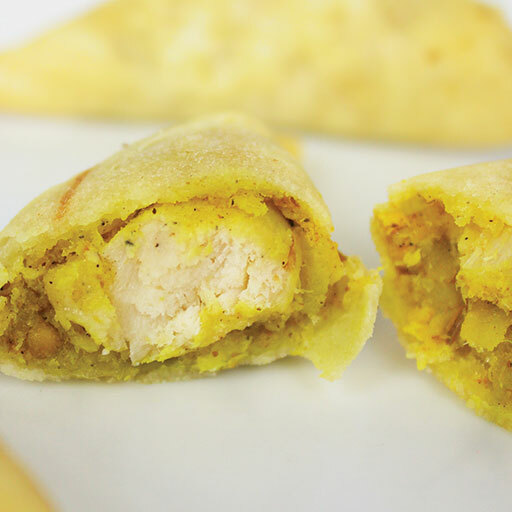 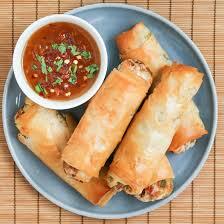 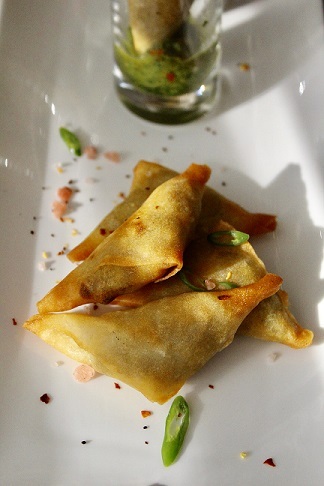 Tender chicken breast and mixed vegetables seasoned with Indian spices, loaded into a spring roll wrapper. 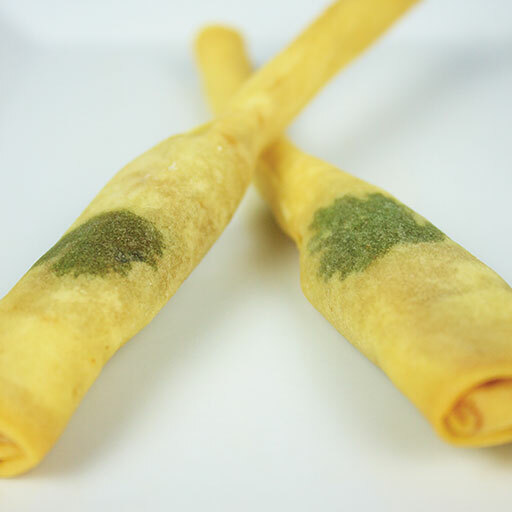 A chopstick shaped spring roll wrapper filled with a fiery mix of shrimp, cilantro, hot chilies, curry and spices with a cilantro leaf on the outer wrapper for a unique and interesting presentation. 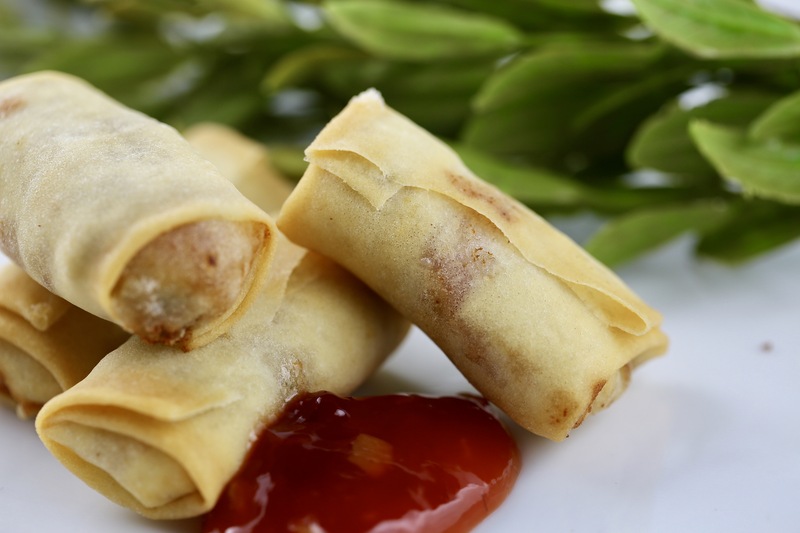 Tender pieces of chicken and chunks of cashews paired with green cabbage, onion, carrots, mushrooms, red peppers, water chestnuts, and cilantro glass noodles, topped with soy sauce and a sesame garlic sauce, all loaded into a spring roll wrapper. 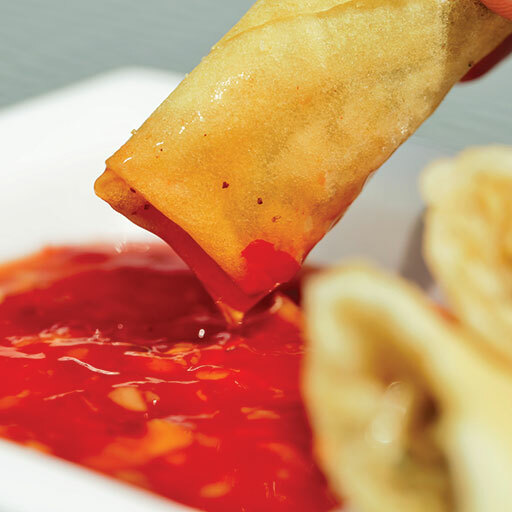 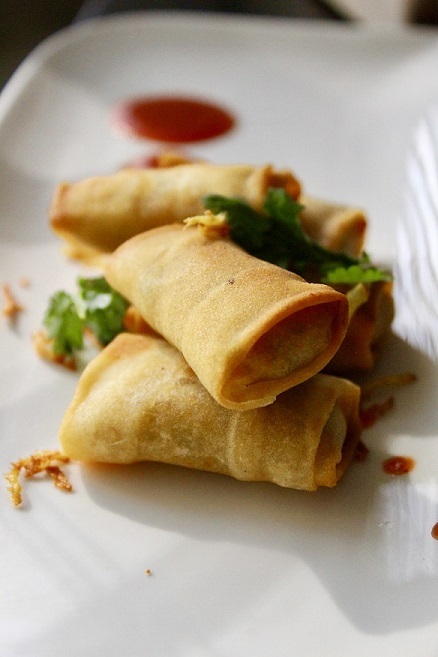 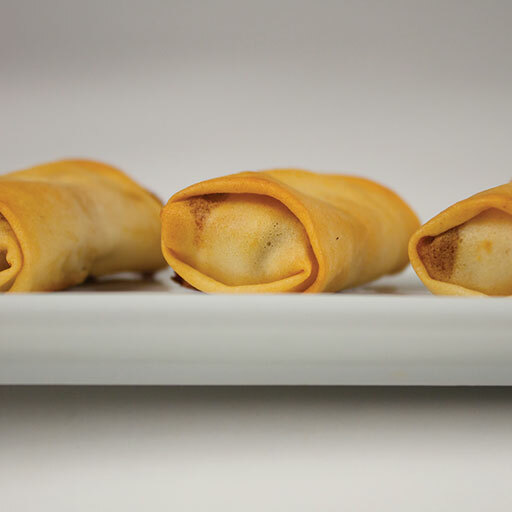 Our chicken and woodear mushroom filling, delicately flavored with Asian spices, rolled into a chopstick shaped spring roll. 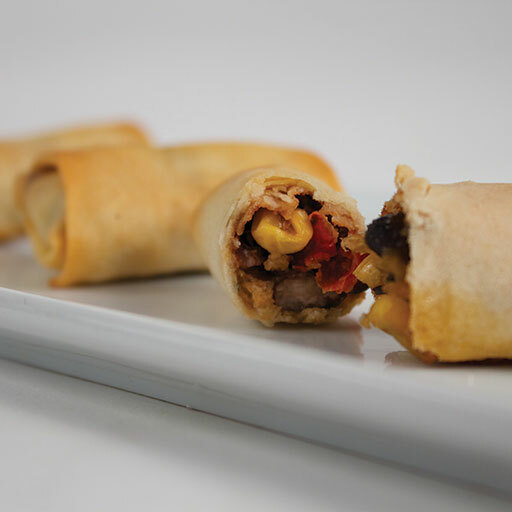 Traditional spring roll wrapper stuffed with black beans, corn, tomatoes, red and green bell peppers, jalapenos, and chipotle peppers, topped with a blend of sharp cheddar cheese and a hint of zesty Pepper Jack. 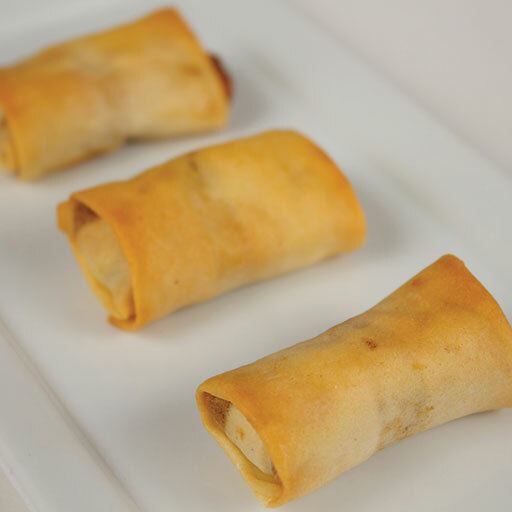 Fresh Maine lobster and succulent shrimp together in a spring roll wrapper. 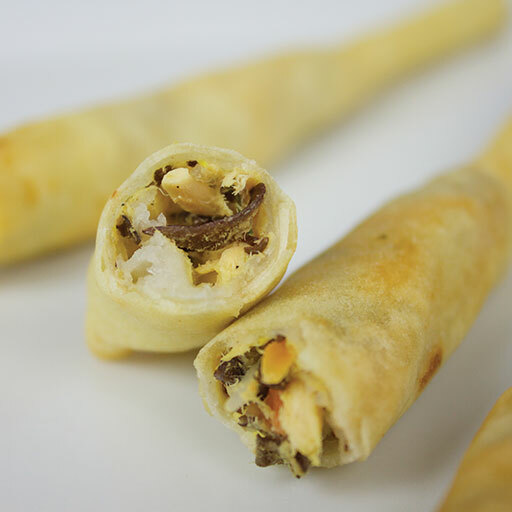 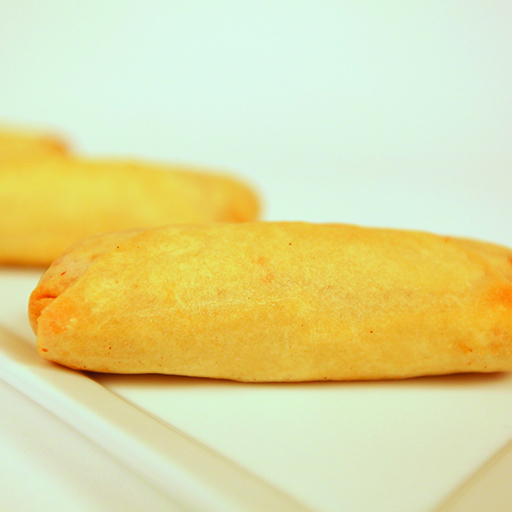 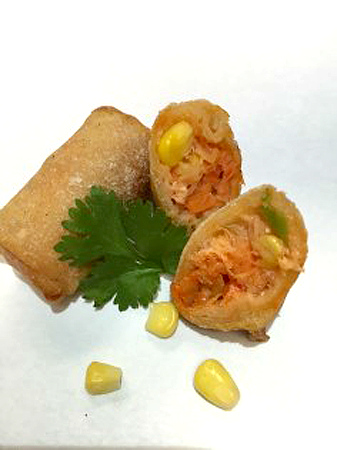 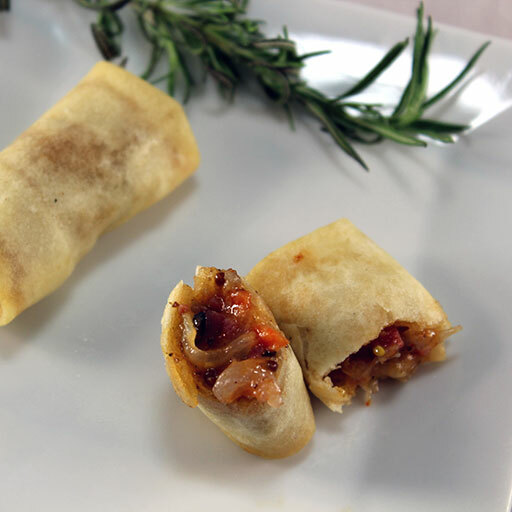 Lobster and Corn Spring Roll – 1.5 Oz. 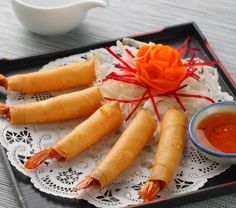 Juicy lobster blended together with spices and corn, wrapped in a crispy spring roll.